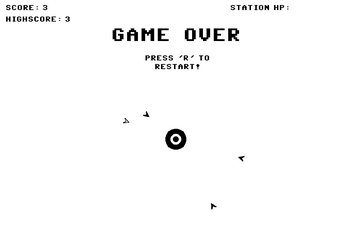 CP is a strategic arcade game in which you control a bullet. Your goal is to protect the space station in the center of the screen by smashing into enemy ships (shown by a filled in polygonal shape) as they will damage you station's HP on contact. 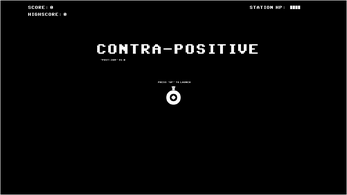 Destroying these ships, however, reverses the alignment of every ship on screen, turning enemies into harmless ships (shown by an empty polygonal shape) and vice versa. Be careful and think before destroying a ship as it could cost you your life! 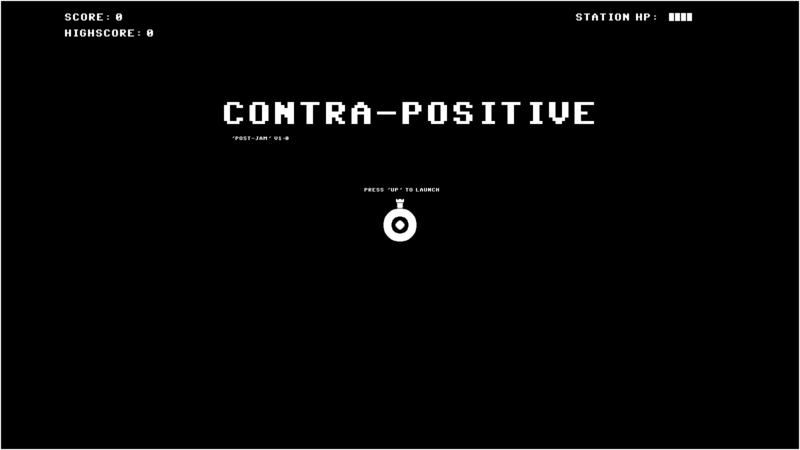 Contra-Positive was originally made for the 2-colors-game-jam in around 8 hours and was my very first Game Jam entry ever (whoo!). You can find the jam version here. Because of these time restrictions, I felt that it needed some extra love after the jam release and so started hoovering up bugs and polishing it right away until I reached a point where I felt it was feature complete enough to mark a v1.0 release. 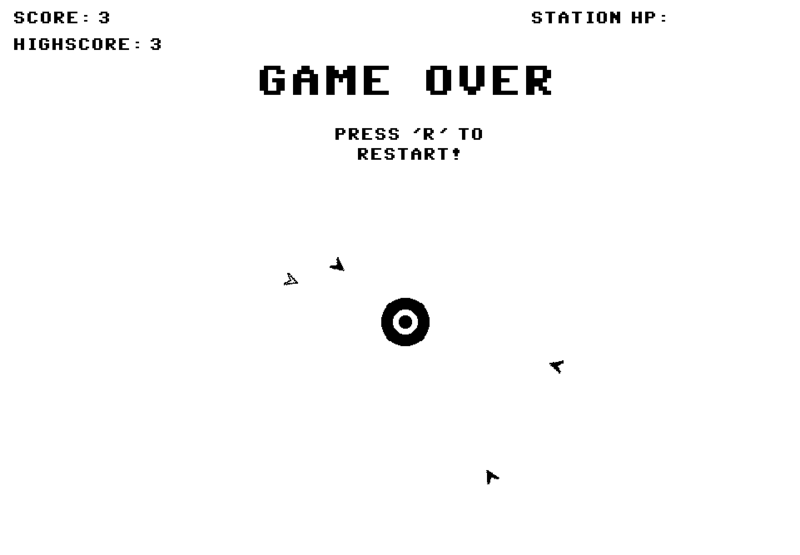 I may come back to this game in the future to add better scoreboard support, new game-modes etc however for now it remains a quick and simple complete game. The game is currently only available for Windows but Mac and Linux support may be considered in the future if demand is high enough. To play, download and extract the .zip and then run the .exe file.